The coolest homegrown labels our editors have on their shopping list. You’re welcome. Founded by Singaporean Koon Lim and Indonesian Catrine Thé, Koonhor is a homegrown fashion brand that’s made waves beyond our sunny island. The duo first showcased their collection at the New York Fashion Week in 2013 and were also finalists on Who Is On Next?—an annual event hosted by Vogue Italia to support emerging designers. Despite their international recognition, they’ve never presented their collections here—that is, until this May when we partnered with them for an exclusive Singapore Tatler showcase. The pair continuously experiments with different fabrics, textures and patterns to inject new life into wardrobe classics. Thé describes the Koonhor woman as “intellectually refined, bold and constantly redefining the classic looks.” Read our exclusive interview with the couple here. For more information, visit koonhor.com. Beauty junkies will have no problem recognising Skin Inc. Founder and CEO Sabrina Tan started her brand, focusing on personalised skincare products, in 2007. It certainly won the hearts of many fans in Singapore and worldwide, which explains its strong presence in over 100 cities and 350 stockists. Besides customised serums, masks and facials, Skin Inc also strives to produce innovative products such as the travel-friendly facial device, Optimizer Voyage Tri-Light and the latest serum in mist, Pure Serum-Mist. In July, Tan had wrapped up her inaugural Galboss Asia Symposium, featuring speakers like Aimee Song, Tan Su Shan and Velda Tan. For more information, visit skininc.com. In between fashion weeks and magazine/Instagram shoots, founder Yoyo Cao can be found designing pieces for her Singapore-based womenswear brand Exhibit with business partner Angie Chia. It started from a small Far East Plaza boutique of the same name, hawking clothes scoured from Asia. The storeowners often modelled their wares on social media, and soon their strong fashion aesthetic garnered them legions of fans, which led to the launch of their label. Well-loved for their monochrome and minimalist style, the second collection showcased at Singapore Fashion Week last year, included details such as pompoms as a foil to the garments’ clean lines. For more information, visit exhibitstore.co. Renowned celebrity doctor (and fashion plate) Georgia Lee understands what busy men and women need in their beauty cabinets—a skincare line that is simple and effective. 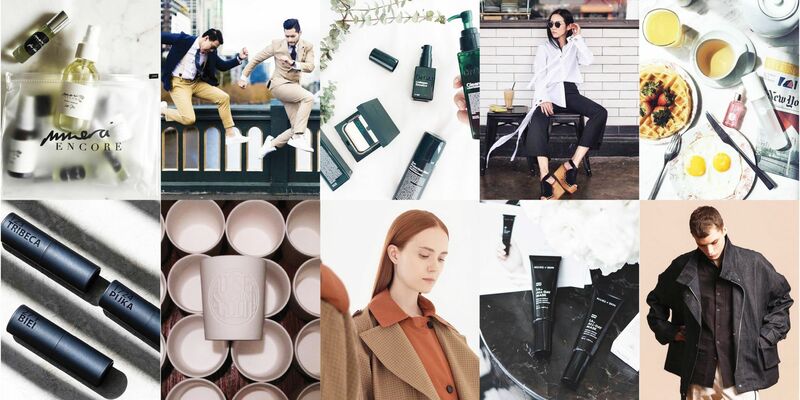 With that in mind, Lee created her premium beauty line called DrGL, a solution for time-starved people who don’t have the luxury of going through a burdensome eight-step beauty routine. Lee puts a strong focus on premium ingredients, and being personally involved in every stage of developing her products. Today, DrGL has expanded to include skin supplements, hair and body products, as well as makeup. For more information, visit drgl.com. British-Singaporean designer, Chelsea Scott-Blackhall launched Dzojchen (pronounced as doh-jen) in 2013 and because of her English and Singapore roots, Dzojchen’s mens and womens collections are often influenced by the two countries’ contrasting cultures. Having presented on many fashion runways—including those in Paris, Seoul and Singapore Fashion Weeks—Dzojchen specialises in denim, leatherwear and bespoke tailoring, all of which showcase contemporary elements that have been added to the classic pieces. For more information, visit dzojchen.com. If you’ve always loved stepping into spas because of the relaxing aroma of essential oils, you’ll fall in love with Mmerci Encore’s products. This artisanal aromatherapy brand emphasises the importance of living life positively and focuses on what’s good for both the skin and soul. That’s why you’ll sport many therapeutic grade essential oils—like bergamot, lavender and neroli—on the products’ ingredient list. The honcho behind Mmerci Encore? Alli Sim, former beauty editor and avid, and hilarious Snapchatter (@mmerciencore). Her other products include handcrafted perfumes, oil burner and sugar scrub. For more information, visit store mmerciencore.com. For many men in Singapore, finding clothes that fit correctly can be a frustrating experience, especially a decade ago when Singaporean menswear brands are few and far between. Now, it’s become easier thanks to Benjamin Barker, a homegrown brand that focuses on achieving the right fit by offering custom tailored shirts, trousers, blazers and suits, as well as off-the-rack pieces. Since its opening in 2009, founder and creative director Nelson Yap has opened a total of eight stores in Singapore. Beyond the Lion City, Benjamin Barker also has two stores in Melbourne. For more information, visit benjaminbarker.co. Because of his horrific teenage acne, Allies of Skin founder Nicolas Travis—who is also part of our inaugural Generation T list—became interested in skincare. “It was tough especially when I was studying and didn’t have a lot of money to find the best products,” he recalled. Fast forward to 2016, Travis started his beauty brand with just one product, the 1A All-Day Mask—a fuss-free moisturiser that contains 35 nourishing actives to hydrate and protect all skin types. More recently, he’s introduced two other additions: 1A Overnight Mask and Molecular Saviour Toner Mist, and is set to launch more this year. For more information, visit alliesofskin.com. Photo: A Dose of Something Good/Facebook. When his wife asked for a candle, founder Robert Upton couldn’t find one that meant something to him and his wife. He ended up creating one himself and called it Rose Your Bottega, which is made from tea roses and lychees. Later, Upton launched his candle brand and called it A Dose of Something Good. Now, it offers six variants that are made from natural waxes, fine fragrances, essential oils and fibre wicks. Up till today, each candle is still hand poured by Upton in Singapore and candle lovers can find the brand in Tokyo and Taipei city too. For more information, visit dose.sg. Artisanal fragrance brand Six is the brainchild of Singaporean Jason Lee. The founder made his first fragrance as a wedding gift for over 800 guests including family, friends and business partners. The overwhelming response that he received after the wedding gave him the courage to launch his own brand. Besides responsible sourcing of sustainable ingredients, Lee also works with world-renowned fragrance houses like the Swiss-based Givaudan to produce his products. This July, he launched three unisex scents—123 Tribeca, 1724 Puka and 27˚F Biei—in his debut collection. For more information, visit scentbysix.com.